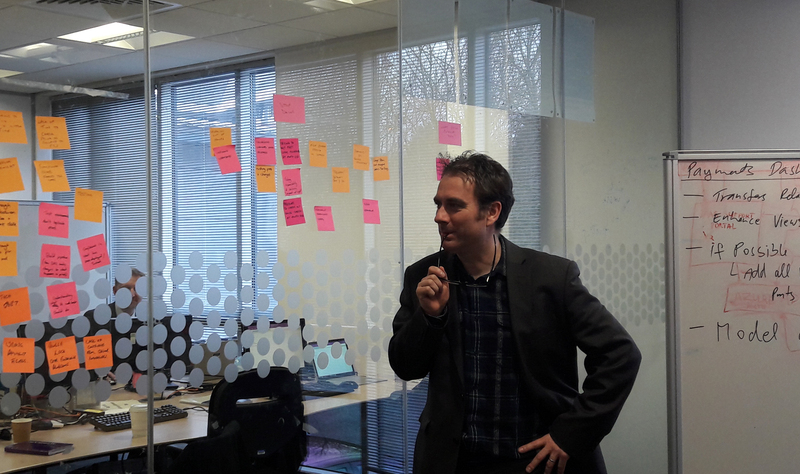 Building digital capability in Coventry in the public sector is not easy. On our doorstep there are many high profile employers who are doing the same. We are all fishing in a sparse digital pool for highly trained talent; product owners, user researchers, delivery managers, developers and ethical hackers are key roles that we constantly struggle to fill. 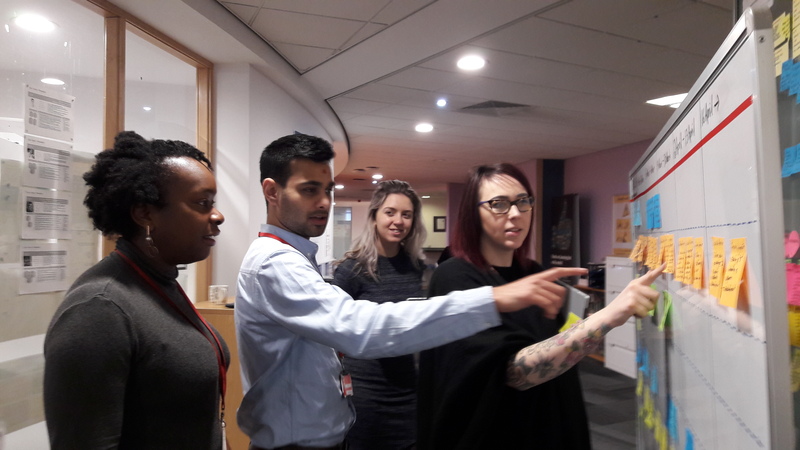 As often as I can, I try to train staff in-house, but this is done under the threat that they will be lured away for higher pay that the public sector is not in a position to offer. I sometimes feel like a lower league football club building digital capability only to have it snatched away from me by a big player. To get around this we need to ensure that we can inspire, attract and build digital professionals quicker than we lose them. 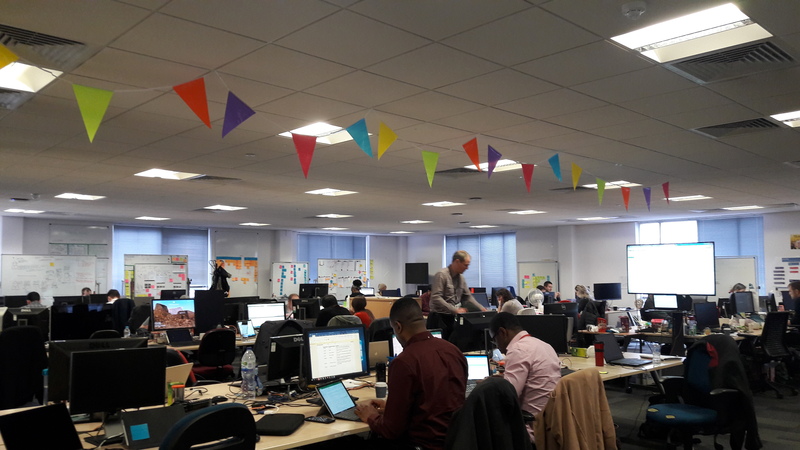 Here at the apprenticeship service we have had to be innovative to ensure we recruit, retain and enable permanent staff to ensure our ongoing success. We have been successful over the past 3 years in nurturing product owners and user researchers and growing our own from within. And of course, this includes taking on our own apprentices! For me, the enabling strategy is just as important as service design, technology strategy and a good pipeline to suppliers. To ensure that we can upskill permanent members of staff we add a clause into our supplier contracts that contractors must spend at least 10% of their time teaching and training permanent members of staff. 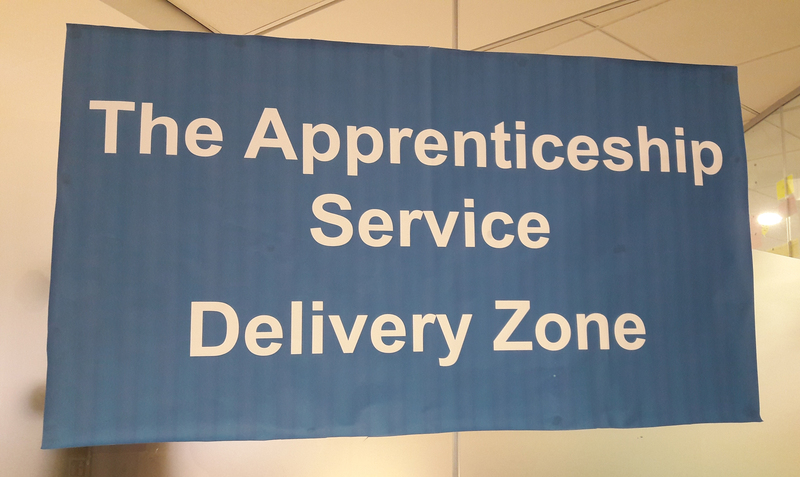 Each team (and we currently have 12 in the apprenticeship service) are no further than 5 feet from the next team. We believe in multi-functional, co-located teams who operate with the maximum amount of empowerment. Product owners will prioritise their backlog, delivery managers will be accountable for delivery. Developers, testers, dev ops and ethical hackers ensure the development is meeting technical standards. We develop, test, iterate and then we go again. Other roles such as user researchers and content designers and writers ensure we evidence constantly against user needs. 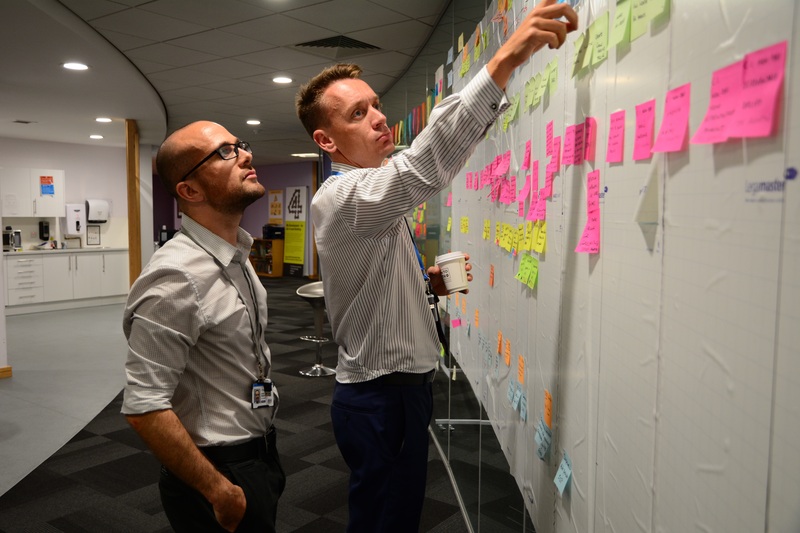 In the apprenticeship service, we have embedded policy, business and operational colleagues into the agile team. 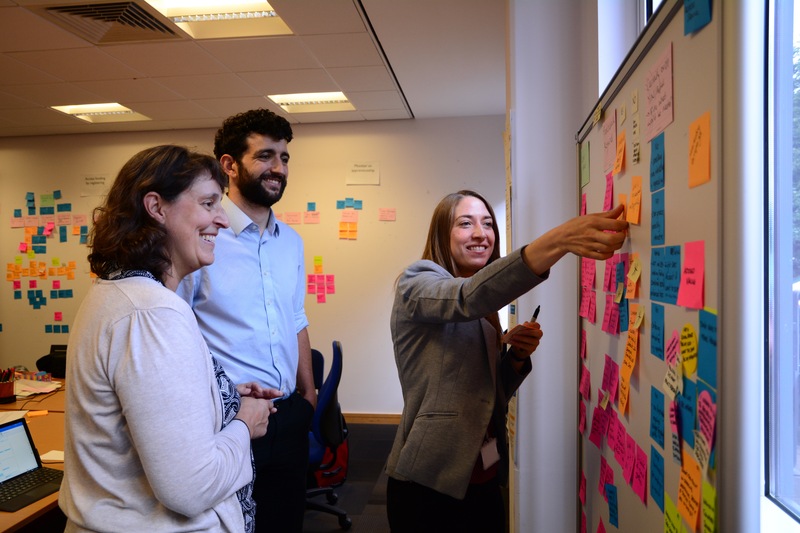 By using this one team approach, we can see user needs coming down stream and be able to influence policy makers as we’re all part of the same conversation. This way of working also promotes transparency, and will ensure all areas of the business operate in an agile fashion. Only then do stand-ups, retrospectives, sprint planning and all the things that I take for granted become the norm in a policy setting. Teams are very aware of how they should be operating. Any departure from what is deemed an agile practice or a lack of empowerment will make for an unhappy team. Too many blockers leads to frustration. Having gaps that mean people end up covering multiple roles, and not having a quick route to market also make for an unhappy ship. And for me an unhappy team is an unproductive team. My job is to keep the team happy and create an environment that has a buzz and is pleasant to work in. Inspiration is a key tool – there is nothing more inspirational than the message that the work of the team will genuinely change lives. And working in the public sector gifts us that privilege and motivation. 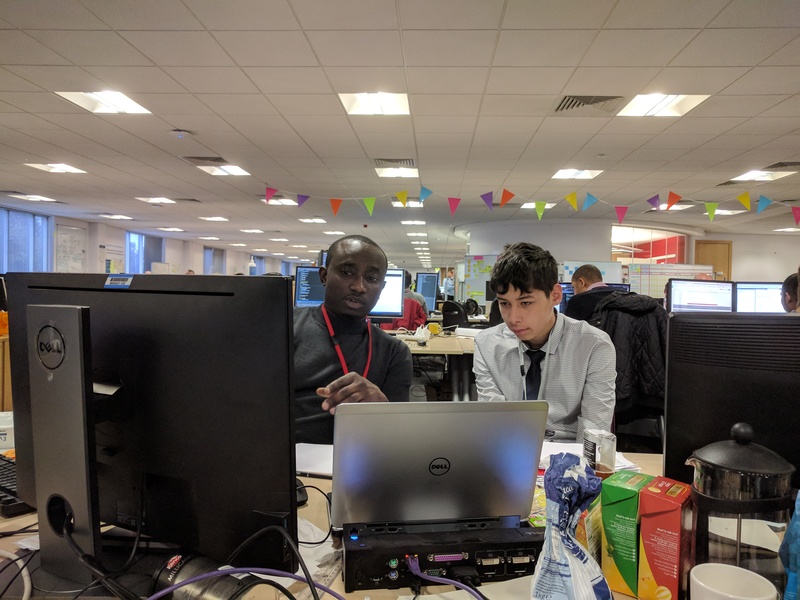 For our team, working on the apprenticeship service will change lives. I’ve found that if you get a good lead developer or a top-notch architect, keep hold of them as these highly technical skills are very hard to find. A lead developer should do exactly that: lead, inspire and assure. I need rapid development to meet user needs and policy needs and continuous deployment is something we strive for. This requires unrestricted release processes, embedded dev ops and testers so that when code goes out it works and the support tasks that will inevitably fall to the team will be minimal. I’m not suggesting this is all that needs to be considered when building capability to operate a live service but if you adhere to these 5 principles you will be well on your way to achieving something great. Follow @ESFADigital on Twitter to keep up to date with our developments on the apprenticeship service. Great article Gary, good to see more time being spent transferring skills to permanent teams.